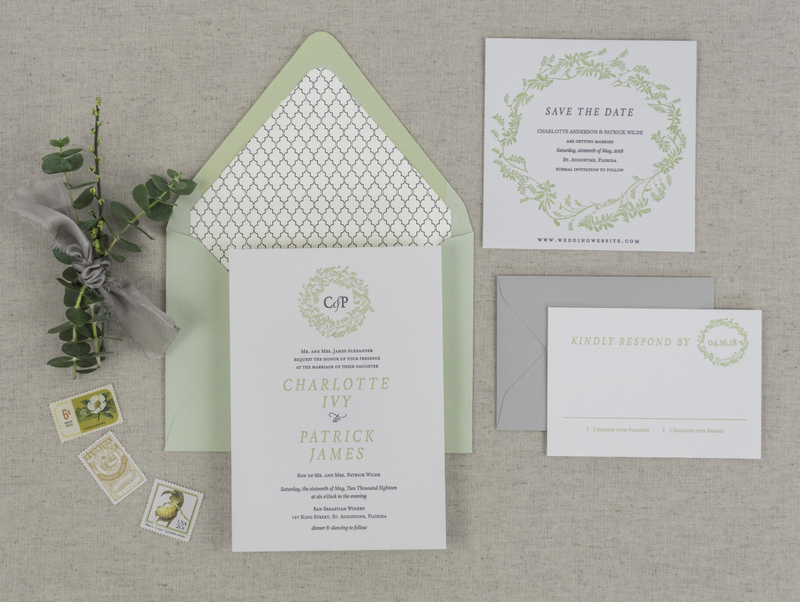 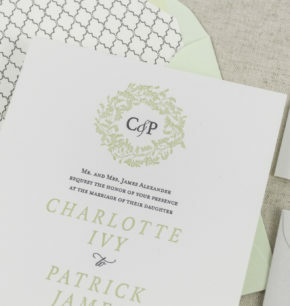 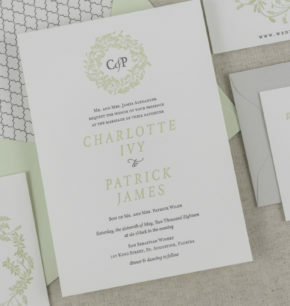 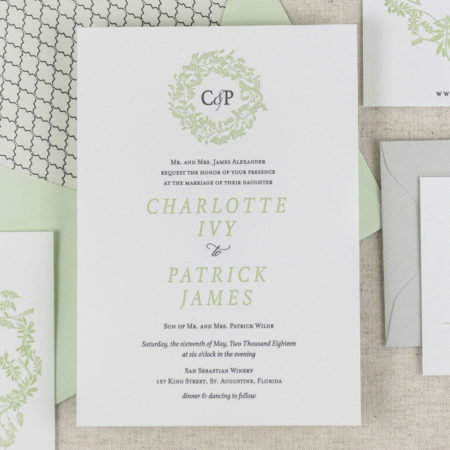 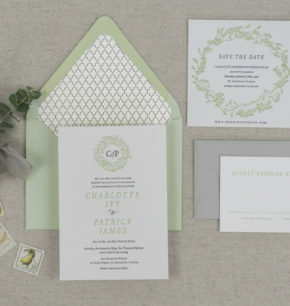 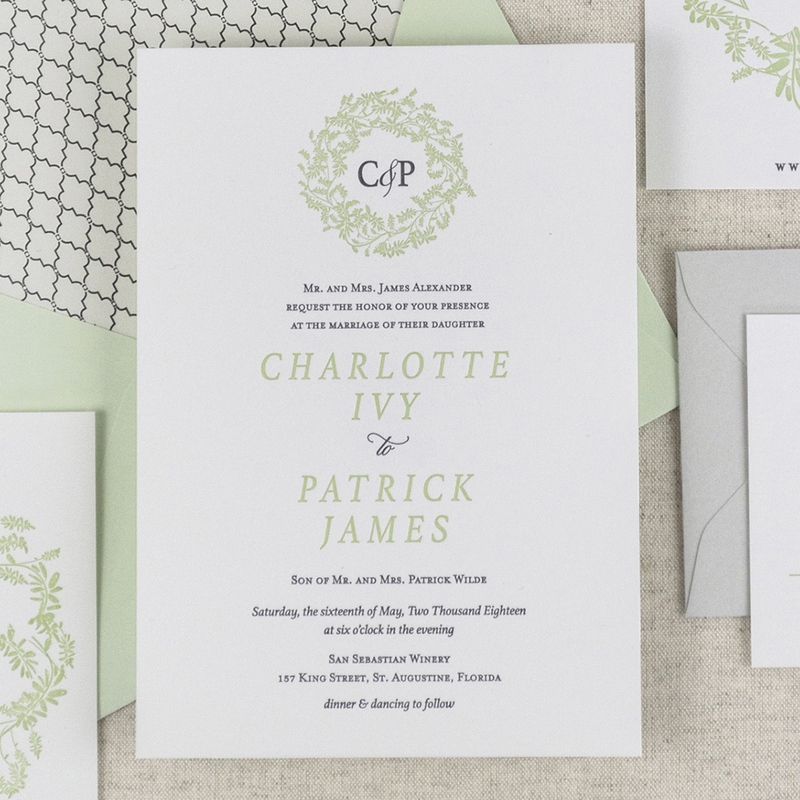 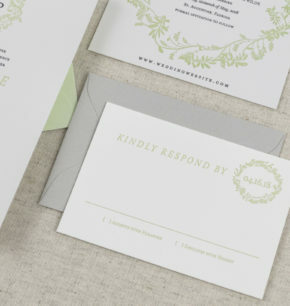 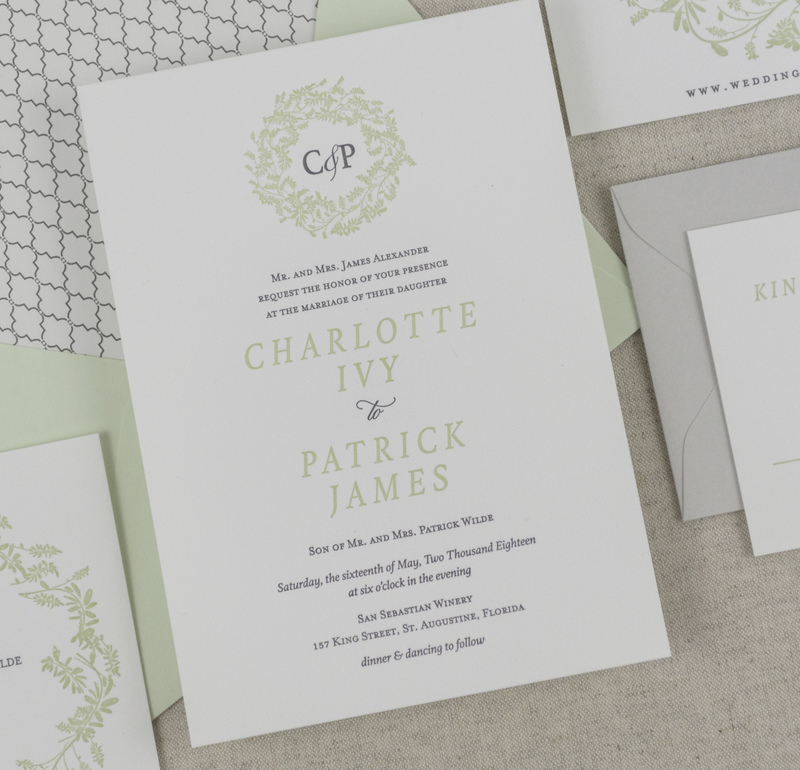 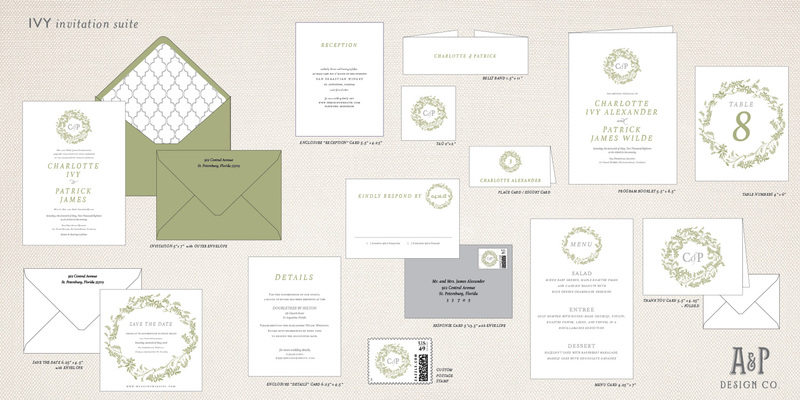 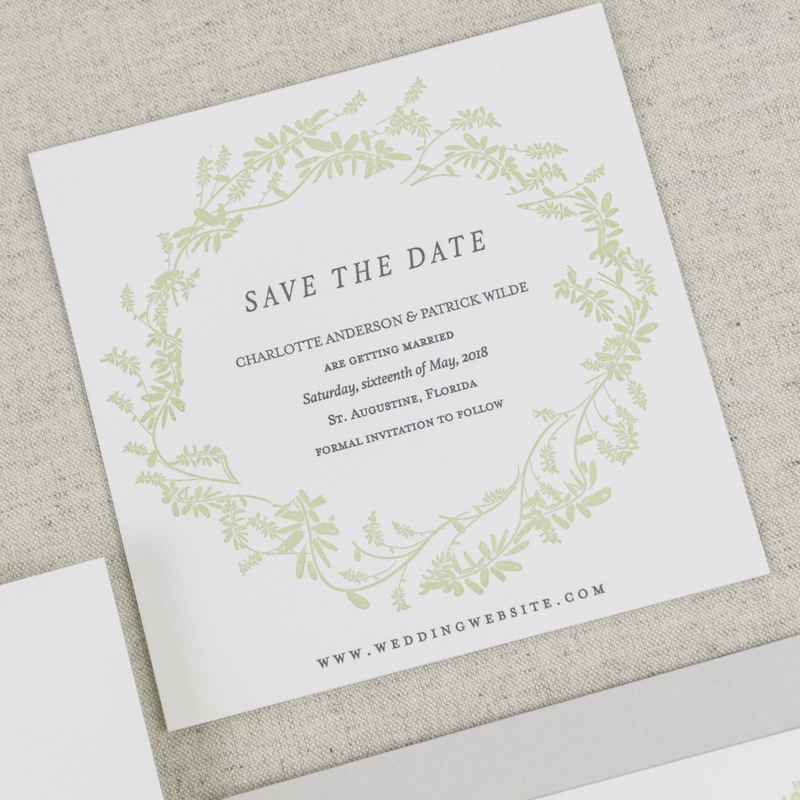 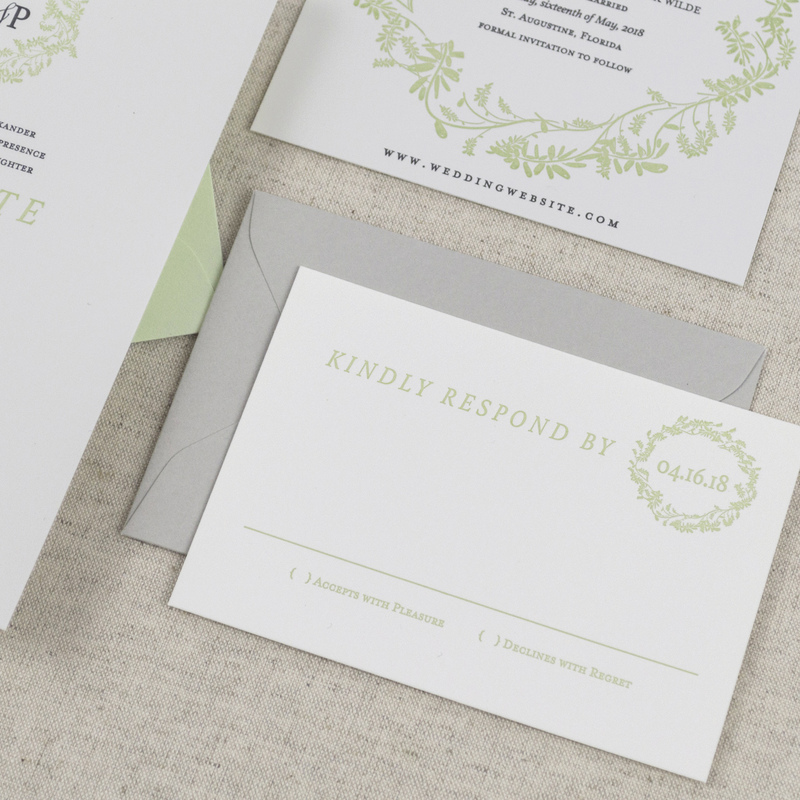 This suite is perfect for the bride who wants to pull in some of the organic greenery into her paper goods. 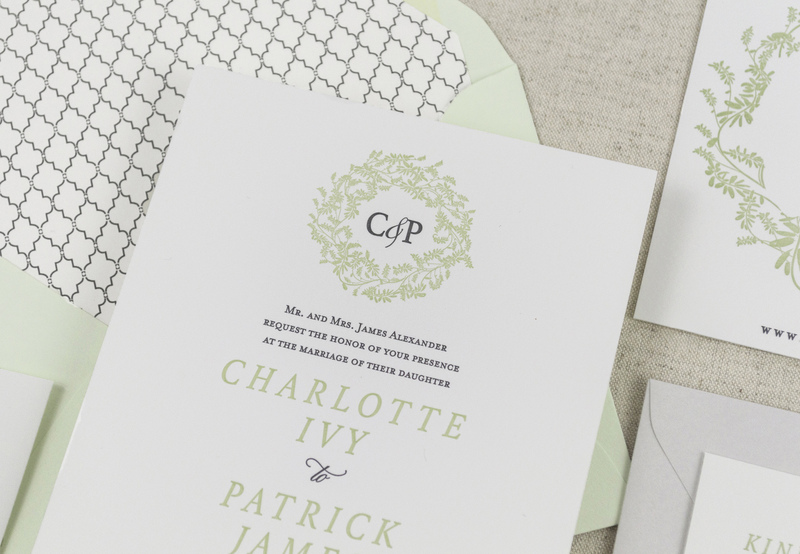 We love the subtle wreath detail touches throughout the suite. This suite is perfect for any outside wedding or a wedding style that is featuring lots of beautiful greenery.